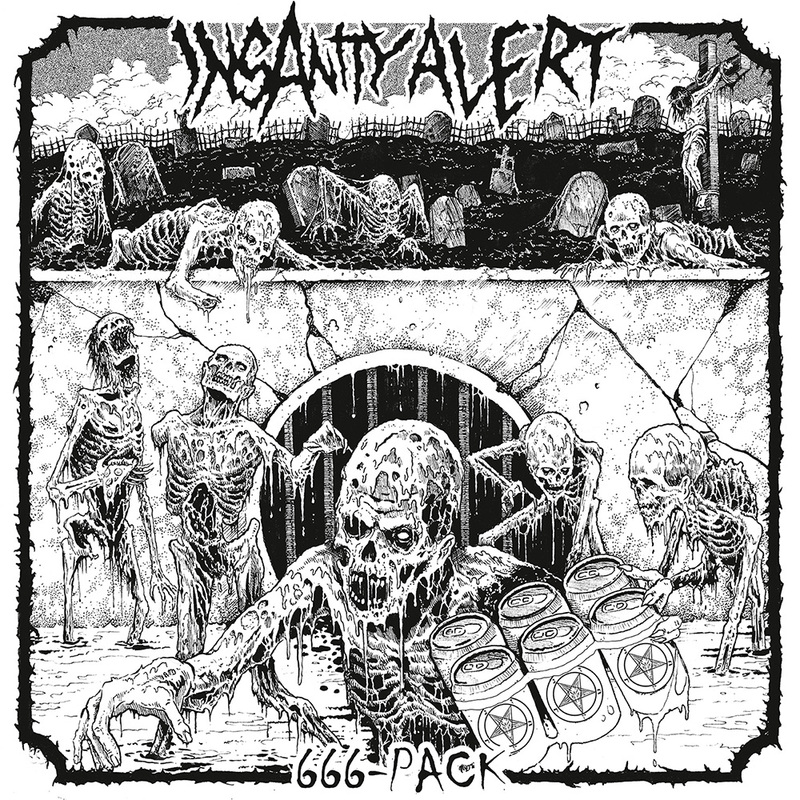 Thrash metal outfit INSANITY ALERT are premiering their entire new album ‘666-pack’ via Invisible Oranges. INSANITY ALERT comment: “We are extremely proud to unleash our 3rd full-length record upon the masses of crazy thrashers. It’s an ugly, brutal crossover party-machine, but it’s our beer-guzzlin’, weedsmokin brainchild that deserves all the love in the world”. The cover artwork and the tracklisting of ‘666-pack’ can be found below. The cover has been created by Mark Riddick. 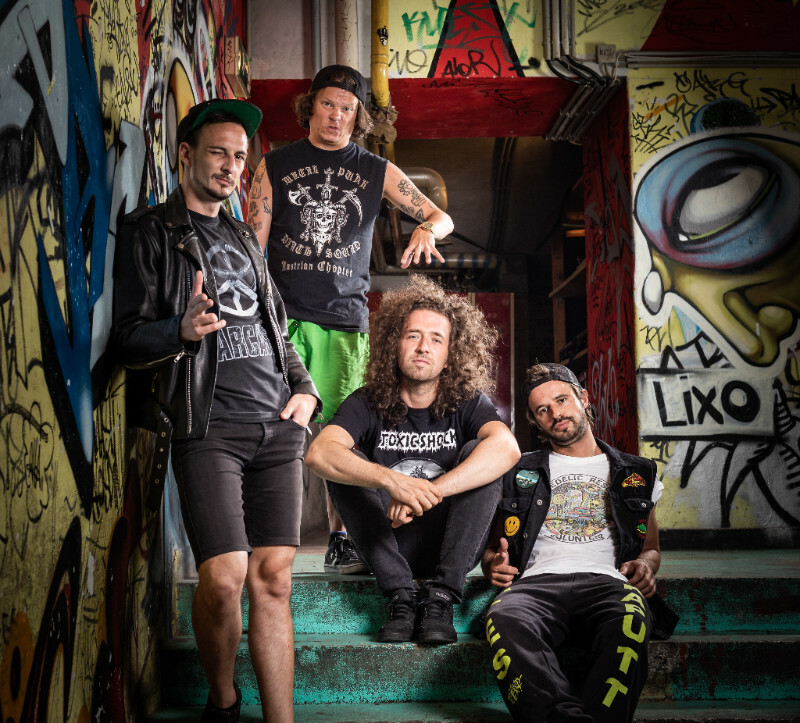 Thrash outfit INSANITY ALERT are the kind of people who know what to bring to a party: a big dose of humour with a dash of darkness, party tunes, and a six pack. It’s these ingredients that make up the basis of the band’s third full length record, ‘666-pack’. 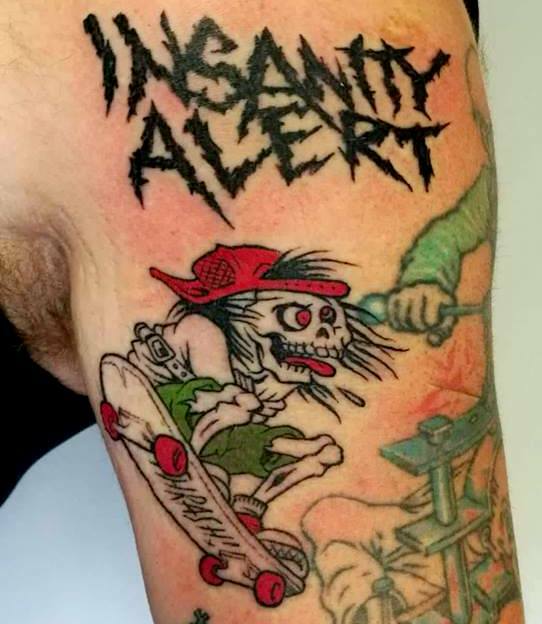 The world of INSANITY ALERT is a dark yet happy place. Fast, aggressive music, crazy lyrics about alcohol, rage, weed, ignorance and hate, all drenched in an 80’s hot sauce but played with a 2019 attitude. The band emerged from the Austrian city of Innsbruck in 2011, with only one intent: deliver crushing, crossover party thrash. A tongue-in-cheek concept backed up by strong musical prowess worked out extremely well as ‘First Diagnosis’ proved in 2012. This demo was welcomed with open arms and the first impression of the public quickly confirmed by ‘Second Opinion’, which came out the year after. 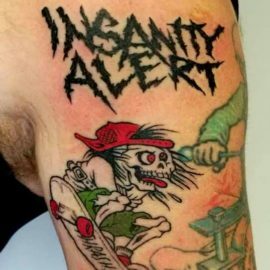 In 2014, debut album, ‘Insanity Alert’ delighted critics and fans alike and was reissued four years later by Season of Mist. The wild Tyrolians, always eager to please, next served a juicy ‘Moshburger’ (2016). With ‘666-pack’ the band proves once more to be an unstoppable force. Whether it is dropping a to-the-point, crossover track such as “The Body Of The Christ is The Parasite” or INSANITY ALERT-esque interpretations of classics like “Saturday Grind Fever”, the groove will have you headbanging in no time with a smirk on your face. 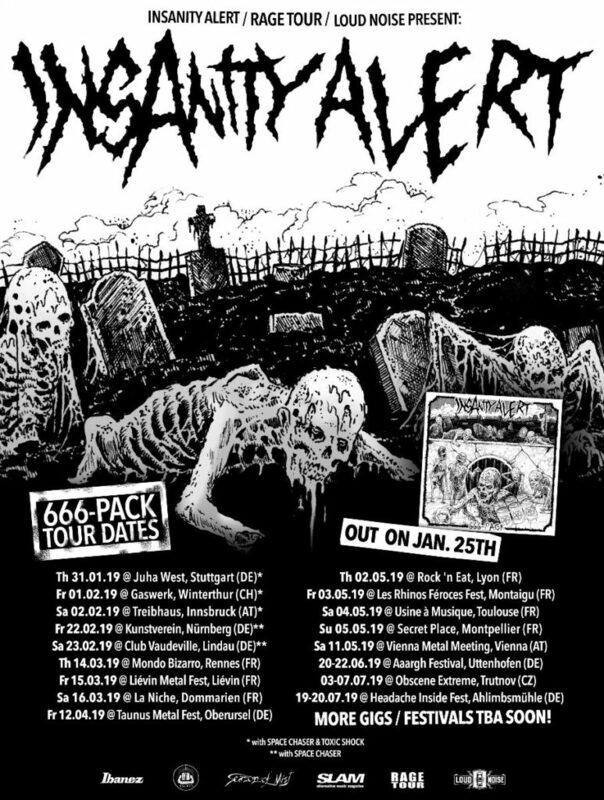 Having confirmed their first festivals for 2019 and riding the wave of the thrash metal revival, INSANITY ALERT can’t wait to return to the stage and share (a) 666-pack with you!